At 56deg north, although we have very long summer nights we also have shorter days from autumn though to spring. We have been running night diving using our larger underwater lights for a few years but for 2018 we’ve invested in an upgraded light system that gives us unlimited running time and around 100,000 lumens of floodlight power! 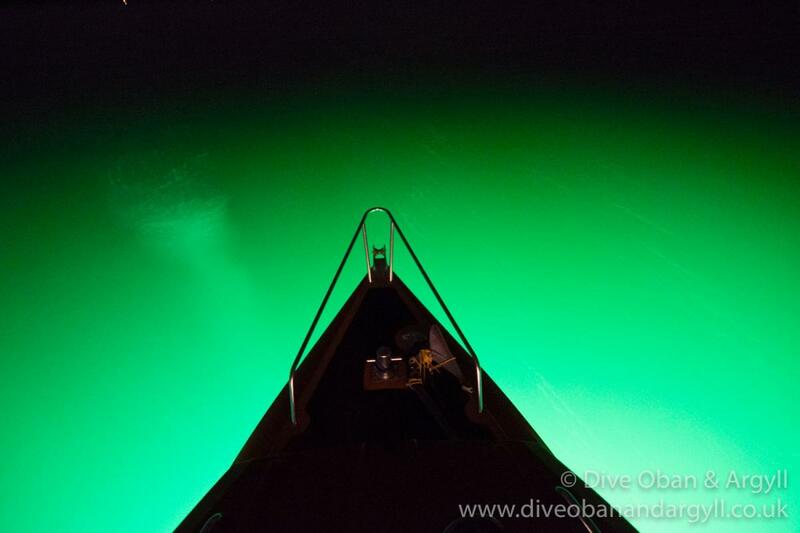 Generally we do two styles of diving, one is floodlight diving where we use the underwater lights to illuminate a dive site or two is called blackwater diving where we hang above deep water (say 250m) attached to the boat using the lights to attract marine life out the depths! See here for dates where you can book on as an individual, otherwise contact us to book as a group or club. Based from Oban we mainly have been doing this on the wreck of the Breda which is a few minutes away from our base. 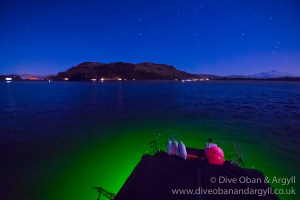 The deck around the bow starts around 12m making it a perfect depth for night diving, along with having little current. 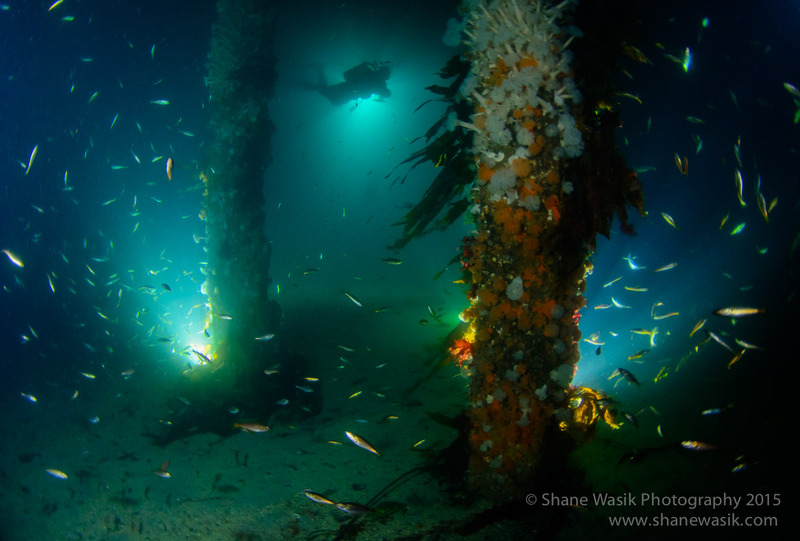 We hang the lights at about 10m and the three lamp heads provide spectacular & atmospheric lighting above the wreck. During the late summer, a couple of months after the longest day, we have lovely warm water and abundant marine life. At this time we start getting darkness a little earlier in the evenings and is one of the time we can run floodlight dives out around our favourite expedition spots such as Coll. Here we have superb visibility and this makes for a fantastic dive. This is a specialist type of diving, popular in the tropics and something we can do at specific times of year as it’s more based around marine life. Due to the geology of of area, the coastline is very varied with some areas dropping to around 250m. 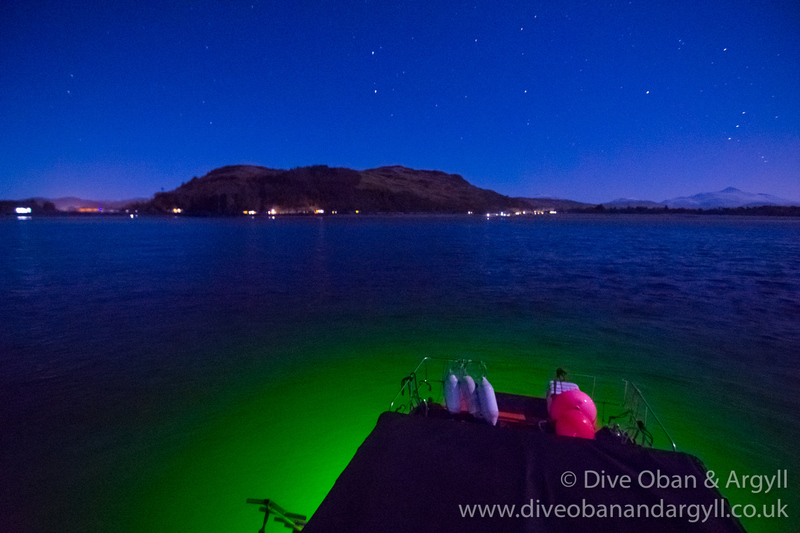 Over these deeper areas we hang the lights to attract up marine life whilst drifting and we dive attached to the boat via down lines. 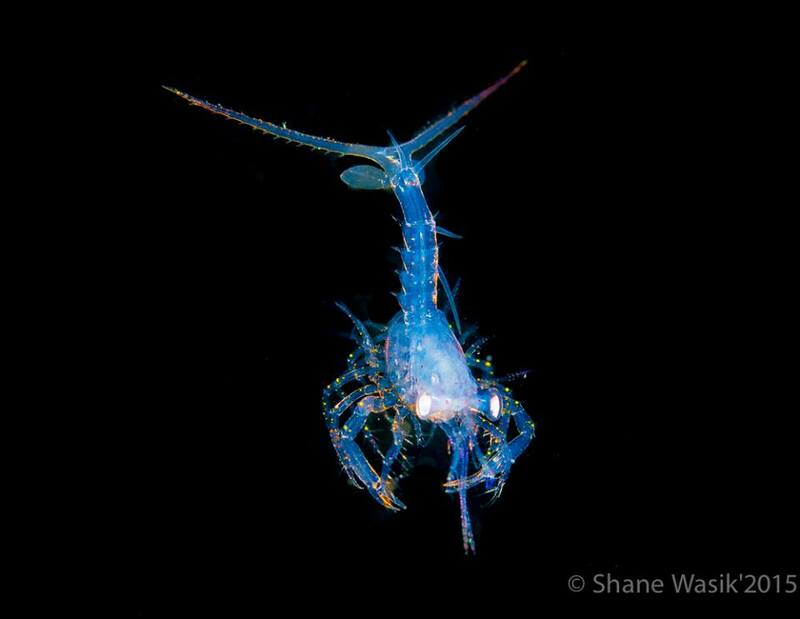 These trips are specifically interesting for photographers who want to capture weird and wonderful creatures and hence the nickname blacro (blackwater macro)! See a video below for some footage during our pier floodlight dive and a picture gallery from our other trips. More will be added in due course.